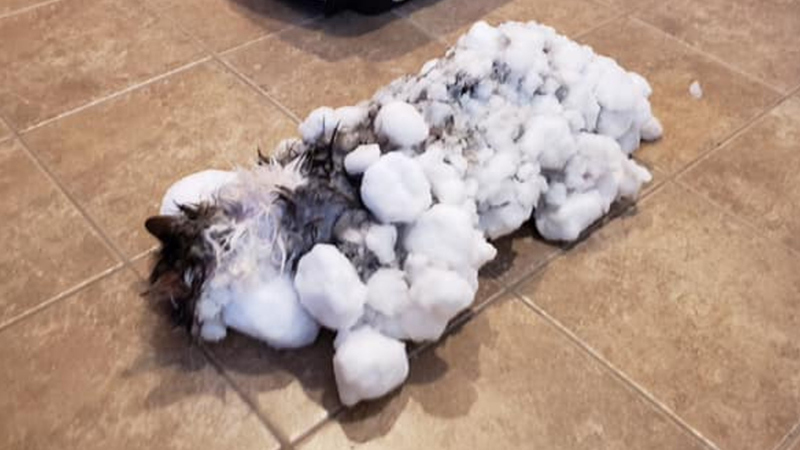 Fluffy the cat was brought into the Animal Clinic fo Kalispell, Montana, on January 31, when temperatures hit a low of 9F as parts of the U.S. were hit with a polar vortex. They utilized warm water fluids, an IV solution and towels to help raise her body temperature back up to a stable 101 degrees. According to the animal hospital, Fluffy is back with her owners - although she is making the transition to being a indoor cat. "Amazing success and survival story from this week", the post read. She has eight lives left, but Fluffy is very lucky to be alive. Dr Clark said Fluffy's owners didn't do anything wrong. "And finally, we put her in heated kennel".